The Byzantine Heritage of Istanbul that you will visit: Hagia Sophia, Byzantine Hippodrome, Basilica Cistern, Church of Pammakaristos and Chora Church. In the year of 395, when the Roman Emperor Theodosius I divided the empire and placed his son Arcadius at the head of the Eastern side and his other son Honorius on the throne of Western side, he couldn’t have known what kind of effects this action would have on the future. The Western Roman Empire was to have a short life but the Eastern Roman Empire, however, was to last almost one thousand years until it was finally put to an end by the Ottoman Emperor Mehmet II when he conquered Constantinople in 1453. During the thousand years of Eastern Rome, the city was continuously enlarged and adorned. Hagia Sophia, the Holy Wisdom Church had left Emperor Justinian breathless at first sight as an unprecedented monumental structure in the ancient world, to this day it is the one distinguished structure that has changed the history of architecture. The architects were Isidorus of Miletus and Anthemius of Tralles who were especially successful for their time by being able to manage such a large and heavy dome. 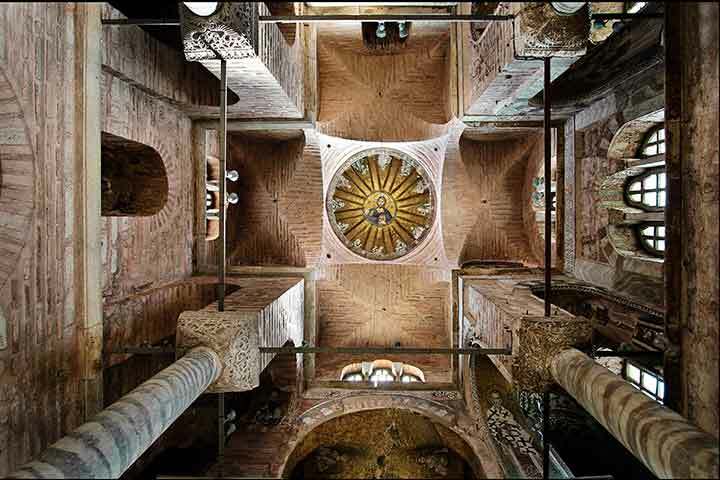 The whole structure is a point of interest to contemporary architects and historians just as the beautiful mosaics and decorations draw the attention of art historians and experts. It was converted to a mosque during Ottoman Age and was made a museum in the early 20th century. Your visit to the glories of the old city will continue with the Obelisk of Thutmose III, also known as the Egyptian Obelisk, the Walled Obelisk and Serpent Column in the Hippodrome. 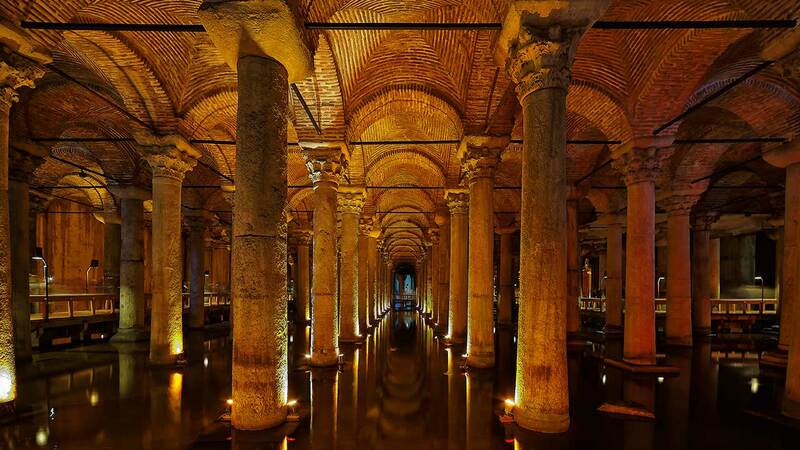 The amazing Underground Cistern is next, its underground connection to Hagia Sophia reminds us about Byzantine specialization in building hidden passages. You will continue the Byzantine Heritage tour with Church of Pammakaristos ("All-Blessed Mother of God"), today Fethiye Mosque dates from 11th century according to most historians, is a hidden treasure in Istanbul away from the tourist crowds. 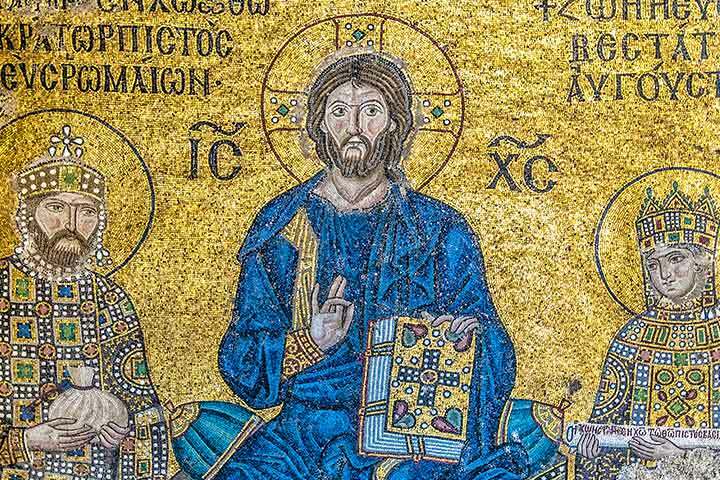 It has extraordinary examples of Byzantine art such as the representation of the Pantocrator surrounded by prophets, which is an excellent mosaic work deserving attention with its high level of mastership. The church was restored in the 1950s by Byzantine Institute of America; the Parekklesion has been arranged as a museum while the rest of the building was kept as a mosque. The Church of the Holy Savior in Chora is the best example of original Byzantine Age mosaics and frescoes which were back to life in the 1950s after having spent a long time covered while the edifice was used as a mosque. Today's decoration dates from the 14th century, mosaics being the best work of the Palaeologian art. They depict scenes from the lives of the Virgin Mary and Jesus Christ beside a number of Biblical scenes, all of which are at a superb level of beauty and mastership. This is relatively a peaceful section of the city that will give you the comfort of appreciating the art on your own. The final visit of your Byzantine heritage tour will be the old city walls of Istanbul dating from times of Byzantium in the 7th century BC as the legend goes. The walls that protected the ancient acropolis, what we call “old city” today, have been renewed many times throughout the history of wars and earthquakes. A large-scale renovation was made by Theodosius II in the 5th century by replacing the former one from the time of Constantine the Great. The walls encircled the whole peninsula with inner and outer walls, 96 towers, terraces and a moat on the west side and defended the city for a millennium until the city was taken by the Ottomans in 1453. Today it is visited for its archaeological and military value as well as getting away from the tourist hub and enjoying a better understanding of the city. Photography lovers will have wonderful chances here to catch Istanbul from extraordinary different angles.